Midwifery is an age-old tradition of women caring for each other as they become mothers. The midwifery model of care considers birth and pregnancy to be natural occurrences, best supported by a knowledgeable and experienced woman with faith in the process. Since ancient times, midwives have been responsible for safely and compassionately seeing other women through childbirth. Along with this age-old wisdom, modern midwives are trained in medical skills and technologies. They blend traditional trust with modern knowledge, and are able to offer comprehensive maternity care. They provide holistic care that minimizes intervention. Midwives are the experts in normal pregnancy and birth, and they are known for their patience and compassion. MotherRoot Midwifery is part of a new generation of midwives that combines tradition and modernity, and takes a common-sense approach to utilizing whatever works in the situation. Like so much in modern life, we have a lot to draw from as midwives. The midwifery model considers the pregnant woman the first health care provider for herself and her baby. Midwifery operates on the principle of informed choice, helping clients understand the many options available to them, and supporting them through the process of finding their own way. Midwifery care recognizes each woman as a whole person, and views her within the context of her family, community, culture and personality. The midwifery model of care is based on a trusting, respectful relationship between the midwife and client. The midwifery model differs from the medical model in several ways, both philosophical and practical. Midwives are experts in the “normal”, and are able to care for women who fall inside this rather large range. We expect that most pregnancies and births will be normal and miraculous. Midwives are trained to minimize intervention, believing that women work pretty well when left alone. Midwives are also trained to handle common complications, and to recognize and refer women who require obstetric intervention. In a situation outside of the normal, a midwife will work to help return the situation to normal, but will refer the woman to a medical provider if the situation does not resolve. The midwifery model also seeks to holistically maximize health and prevent complications through education, nutrition and lifestyle support, careful attention and shared responsibility. The midwifery model views pregnancy, birth and motherhood as personal, spiritual and life cycle events, rather than medical events. 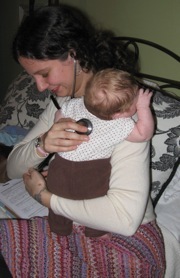 Direct-entry midwives are women who were not nurses before becoming midwives. They catch babies at home and in free-standing (non-hospital) birth centers, and they are specially trained in supporting and facilitating natural childbirth without interventions. Direct-entry midwives cannot care for higher-risk women who need the interventions offered in the hospital, but they are able to recognize when a woman needs this higher level of care and transport or refer her. Direct-entry midwives are the ideal providers for low-risk women who want natural birth. Direct entry midwives are credentialed through the North American Registry of Midwives, which offers a national credential called the Certified Professional Midwife (CPM). For more information about midwives and the midwifery model of care, please visit the Midwives Alliance of North America's consumer website. While many states offer a license for midwives, Massacusetts does not. It is legal to give birth at home here in the Commonwealth, and it is not illegal for a midwife to attend the birth. I am currently involved in an effort to pass a bill that would create a board of midwifery that would issue midwifery licenses. For more information about this effort, and the status of midwifery in Massachusetts, please see Massachusetts Friends of Midwives. 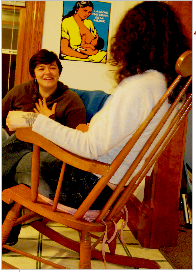 You can also visit the Massachusetts Midwives Alliance.